Amidst working on a client project, Jones Lang LaSalle realized a critical gap in its financial management process: it lacked forecasting and reporting capabilities on key financial data. The financial and professional services firm desired a management solution with automation functionality and KPI management. The company found exactly what it needed and more with Adaptive Planning, part of the Adaptive Suite. Cloud accessibility and robust reporting tremendously improved visibility into client projects and financials, which, in turn, strengthened Jones Lang LaSalle’s commitment to delivering value to its customers. Jones Lang LaSalle is a financial and professional services firm specializing in real estate services and investment management. With 1,000 locations, they employ more than 40,000 people in 70 countries, and serve the local, regional, and global real estate needs of those clients. In response to changing client expectations and market conditions, they assemble teams of experts who deliver integrated services built on market insight and foresight, sound research and relevant market knowledge. The support I experienced at Adaptive Insights has been unparalleled. Not only were they able to quickly respond to me when I broke a couple of reports and fix the issue, they went above and beyond by creating a customized training video showing how to drag the information I needed into the report and avoid the mistake in the future. Improve your process efficiency. Try Adaptive Insights free for 30 days. Jones Lang LaSalle is a financial and professional services firm specializing in real estate services and investment management. They employ more than 40,000 people, in 1,000 locations, in 70 countries, and serve the local, regional and global real estate needs of those clients. In response to changing client expectations and market conditions, they assemble teams of experts who deliver integrated services built on market insight and foresight, sound research and relevant market knowledge. Cliff Marnick, Vice President-Director of Finance, Jones Lang LaSalle, was engaged with a facilities management client project and needed the ability to deliver accurate forecasting and reporting. The only capability they had to that end was within their general ledger system and the solution was not comprehensive enough to meet their needs. "I had been with the organization based in Phoenix, AZ, for about nine months and I recognized a critical gap in our ability to easily forecast and report on key financial data," said Cliff Marnick, Vice President- Director of Finance, Jones Lang LaSalle. "In my role, I am responsible for managing the financial reporting process and implementing standardized accounting practices. It was critical that I find a technology solution that would allow me to automate the forecasting and reporting process, as well as better enable me to produce a portfolio of financials and KPI's." One of the directors in the organization had heard about Adaptive Planning, part of the Adaptive Suite, and suggested that we take a closer look at the application. After evaluating Adaptive among other vendors, the key capabilities that stood out were the ease of report writing, the flexibility of the solution, the ability to build templates and finally the drill-down capabilities to identify the numbers behind the roll-ups. "It was unbelievable how flexible Adaptive was despite a complex set of drivers and models," confirms Marnick. "We wanted the ability to model the client business as we needed to based on key performance indicators (KPI's). In addition the forecasting and reporting capabilities were exactly what we needed to reduce the time previously spent collecting and manipulating this information in Excel spreadsheets." The team at Jones Lang LaSalle had a short timeframe within which to implement Adaptive Planning in time for the next budget season. After working with the client team, which was undergoing some internal change, to collect the necessary data, Marnick and the professional services team were able to collaborate and successfully implemented the solution in five weeks. "The implementation consultant did an outstanding job managing the project and completing the project in a short time frame," said Marnick. "Today we use Adaptive Planning to track expenses and monitor spending against forecasts. The ability to manage a portfolio's expenses within Adaptive Planning and to compare actuals vs. forecast is critical to the success of our client project." The visibility into their client's financials has improved tremendously and the ability for Marnick's team to access the application anytime from anywhere is a huge benefit. Nonfinancial people can understand the application and not feel intimidated by a complex Excel model. The team particularly appreciates the ability to add variance comments directly into Adaptive Planning. This helps them maintain an audit trail. 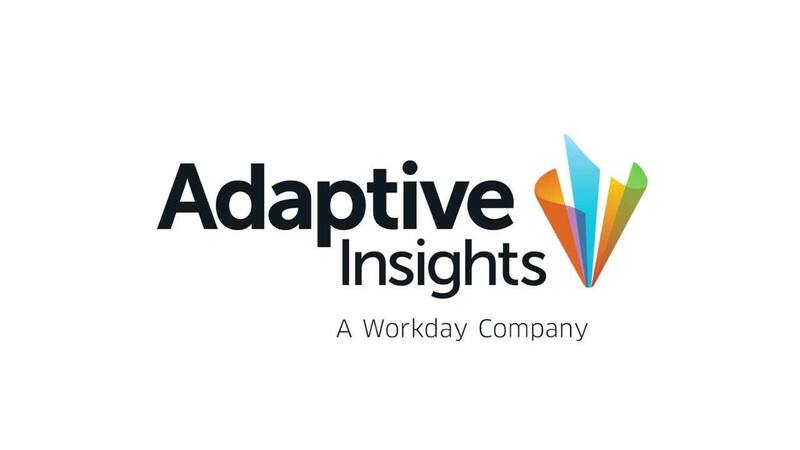 "The support I experienced at Adaptive Insights has been unparalleled," confirms Marnick. "Not only were they able to quickly respond to me when I broke a couple of reports and fix the issue, they went above and beyond by creating a customized training video showing how to drag the information I needed into the report and avoid the mistake in the future." The implementation consultant did an outstanding job managing the project and completing the project in a short time frame. Today we use Adaptive Planning to track expenses and monitor spending against forecasts. The ability to manage a portfolio’s expenses within Adaptive Planning and to compare actuals versus the forecast is critical to the success of our client projects. See Adaptive Planning software in action. Watch an online demo.